the enthusiasm and intensity with which he approaches music fills his performance with a transcendental virtuosity that deeply touches the audience. 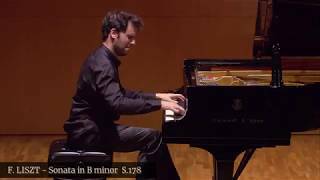 Native from Murcia, the young pianist finished his Professional Degree with prof. Miguel Luis Losada, obtaining an honor degree and an extraordinary prize. Afterwards, he completed the Bachelor Degree with prof. Pilar Valero, receiving an honor degree for each course, as well as for the Graduation Concert. ➢Third prize in the III National Competition of Pianistic Interpretation « Santo Domingo » (2006, Alicante). ➢First prize in the regional phase of the VI National Interpretation Contest « Intercentros Melómano » and representative of the community of Murcia in Madrid (2008). ➢Special prize for the best performance of Spanish Music in the VIII International Competition « Ciudad de El Ejido » (Almería, 2008). ➢First prize at the IX edition of the « Entre cuerdas y Metales » competition in Cartagena (Murcia, 2008). ➢First prize in the 1st edition of the « Villa de Molina » Young Performers Competition (medium grade category), (Murcia, 2008). ➢Special prize for the best performance of Spanish Music in the XXI Edition of the National Youth Competition Performers » Ruperto Chapí » (2009.Alicante). ➢Second prize in the « Ciudad de Murcia 2009 » competition. ➢First prize in the II Edition of the « Villa de Molina » Young Performers Contest (Higher Grade category), (Murcia, 2010). and Chopin’s Concert No. 1 Op 11. 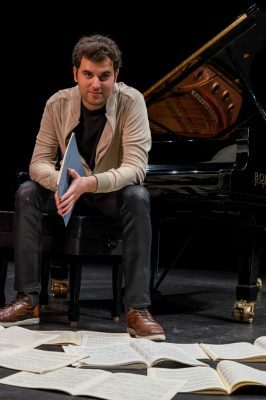 He has participated in the recording of a CD in commemoration of the 200th anniversary of Chopin’s birth in collaboration with the Polish Embassy, as well as in the disc-book commemorating the 10th anniversary of the Concert Series of Young Soloists playing Albéniz. – At present, he combines his intense concert activity with his teaching work, he is a full professor at the “Narciso Yepes“ Conservatory in Murcia, and recently taught masterclasses about Spanish music in Nigeria. For the next season, a new CD playing Chopin will be released.